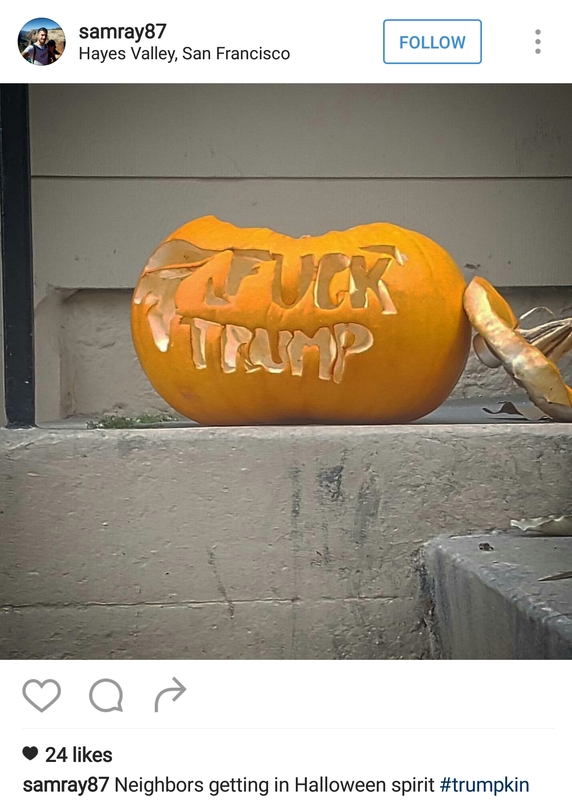 Trumpkins: the new Halloween craze you have to try this year! 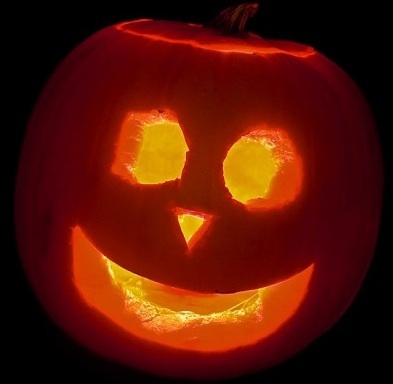 With Halloween just around the corner, pumpkin sales are set to go through the roof. You try your hardest to create a masterpiece, but they eventually end up as a few triangles and a rectangle. But there is a new craze for this year’s festivities. 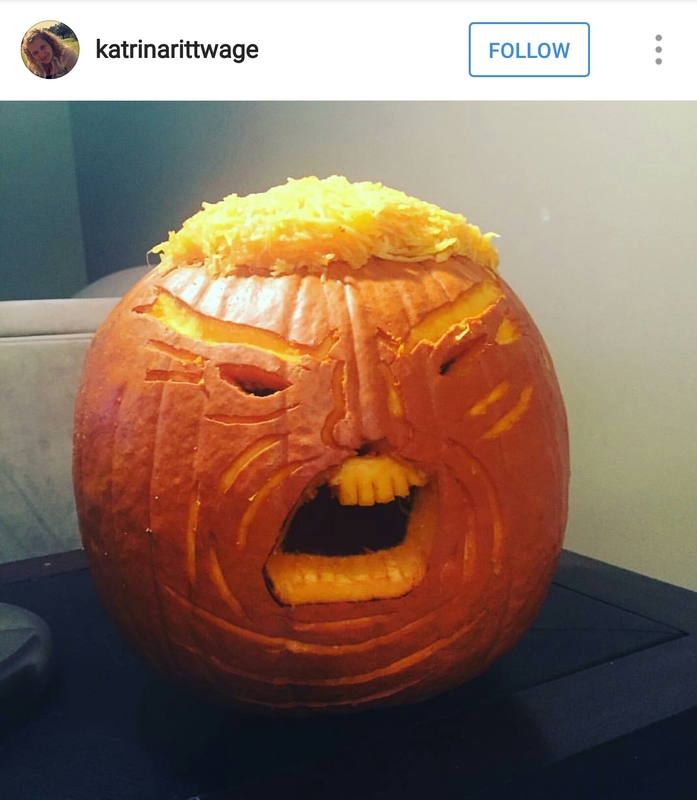 Who, from the news this year, has something in common with a pumpkin? That’s right, old woman-grabbing, nose-sniffling, wall-building Donald Trump. 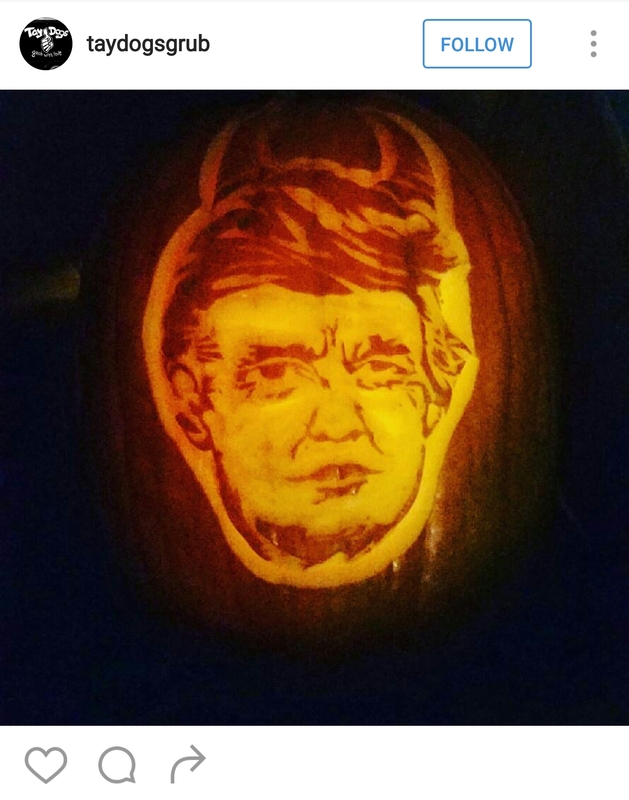 The US presidential candidate has been given the Halloween treatment and being made into jack-o-lanterns which are being called (amazingly) Trumpkins. 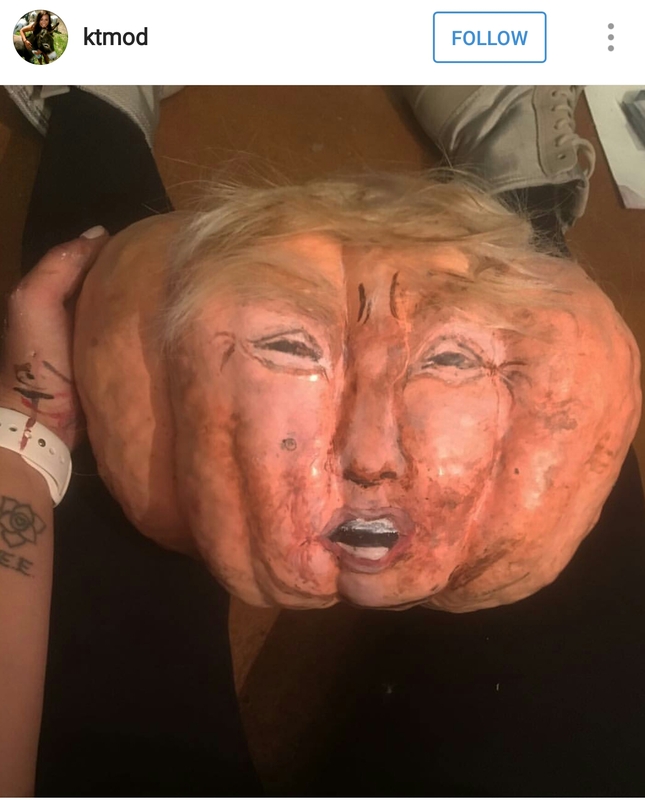 He already has the orange face, so he is the perfect person to put on the seasonal squash; just the thing to put on your front doorstep to scare the kids away. This one even has the hair! Why don’t you guys give it a try and see how it turns out, just make sure it cant talk. Feature image courtesy of Getty/Twitter.